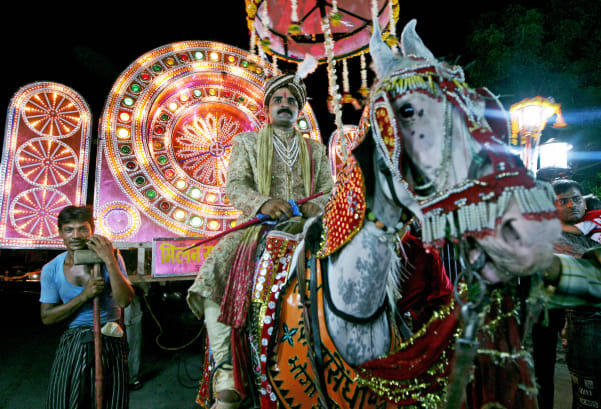 When it comes to elaborate nuptials, few can rival the mega-weddings of India’s super-rich. Recent months have seen a slew of high-profile ceremonies, from a rare Bollywood-Hollywood union (Priyanka Chopra and Nick Jonas) to what could be one of history’s most expensive weddings (when Isha Ambani, daughter of Asia’s richest man, wed Anand Piramal, the son of a billionaire industrialist). Eye-watering amounts of money were spent on haute couture bridal wear, food from the world’s top chefs and opulent palace venues. Ambani and Piramal even splashed out on a private show by Beyoncé. But it’s not just India’s elites. In a country where up to 12 million weddings take place a year, the growing middle classes are increasingly putting on lavish ceremonies to emphasize their status. Industry sources estimate that the country’s wedding industry is worth $40 billion to $50 billion, representing significant growth from the widely-cited $25.5 billion figure reported in 2012. 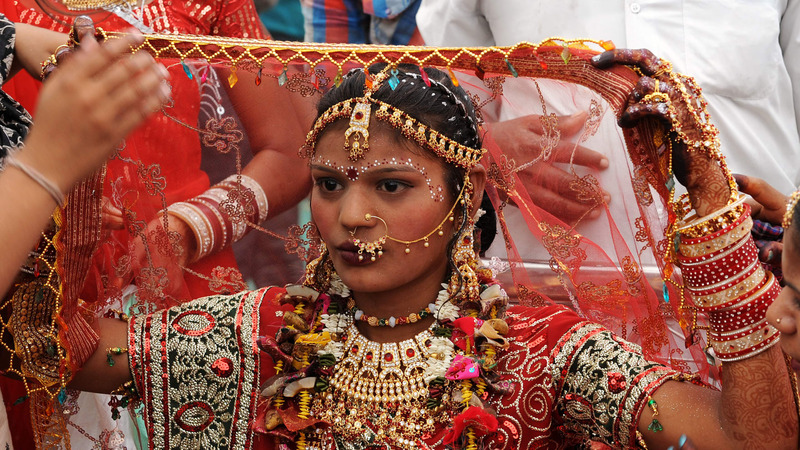 Around half the gold bought in the country each year is for items used at wedding ceremonies. 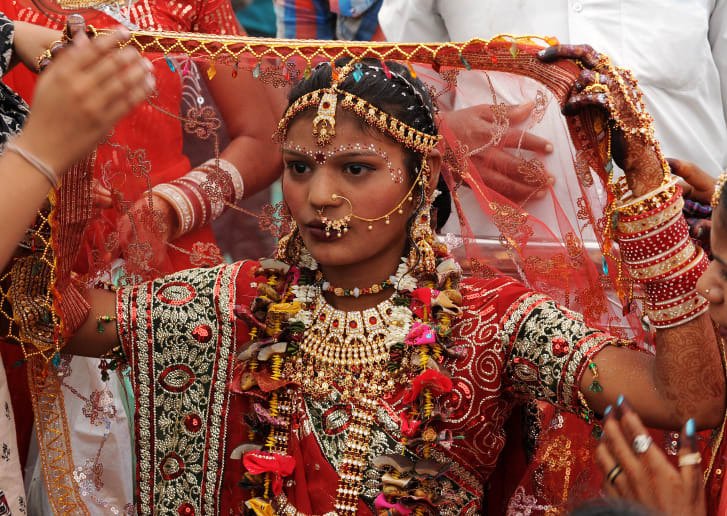 While weddings can be expensive affairs in any country, in India they are especially important as symbols of strength and status, according to sociologist Parul Bhandari, a visiting scholar at St. Edmund’s College, University of Cambridge, who researches wedding cultures, marriage trends, gender and social class. “For many societies, particularly India, marriages are more than simply a union between two individuals,” she said in a phone interview. “A marriage marks the coming together of two families, lineages, and at times, larger groups like whole villages or communities … Marriage is an important rite (of) passage that signals an individual and their family’s status — economic, social, political, royal. “Pushing one’s financial limits at a wedding can, of course, be seen as an attempt to achieve higher social status and respect within the wider community. 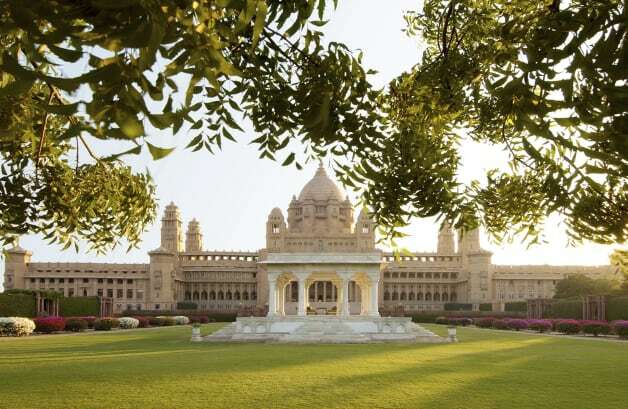 For those who can afford to host in a spectacular palace, the Indian state of Rajasthan, renowned for its royal heritage, has proven an in-demand wedding destination, according to Bhavnesh Sawhney, director of Mumbai-based wedding planners Wedniksha. 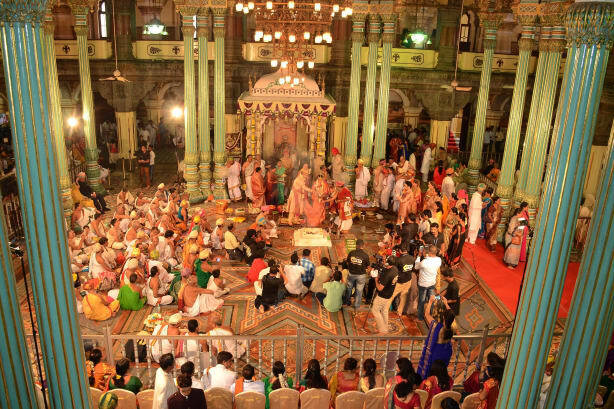 Its popularity may continue to grow following the publicity of the Ambani-Piramal and Chopra-Jonas weddings, both of which took place in the northwestern state. “People are now going for quality instead of quantity,” said Priyanka Gupta, head wedding planner at My Shaadi Wale Wedding, a Bangalore-based wedding planning company. Gupta puts the average amount spent by an upper-class family at $400 per guest, per day. She speculated that the Chopra-Jonas and Ambani-Piramal weddings may have cost up to $2,000 per guest, per day. 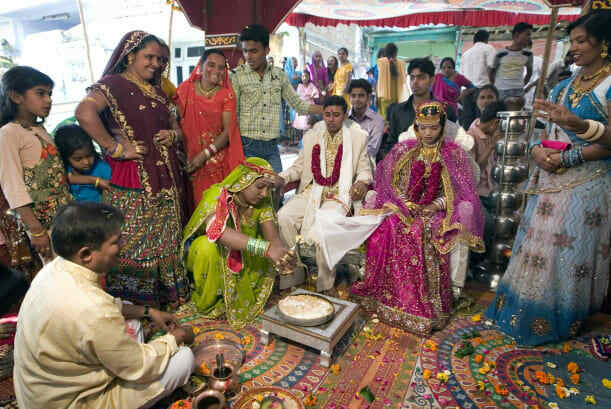 Regardless of a couple’s social status, Indian weddings are often spread across several days, according to Sawhney. It is India’s “cultural pride that gives rise to intricate planning,” he said. 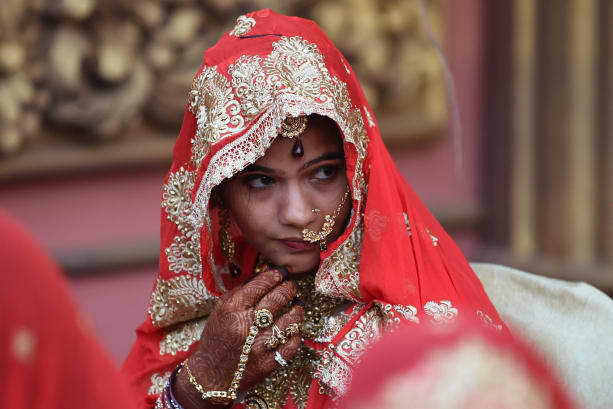 Hindu weddings account for around 80% of marriage ceremonies in India, with Sikh, Muslim and Christian nuptials accounting for much of the remainder. While there are regional variations, a number of elaborate rituals have become common to almost all Hindu weddings across the country. 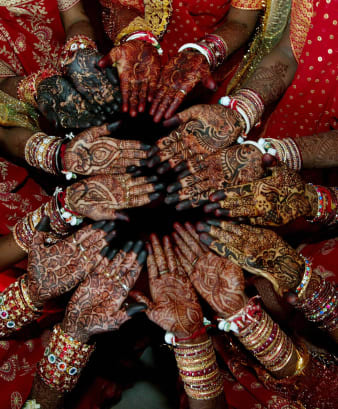 For instance, pre-wedding celebrations usually include a “mehndi” (henna) ceremony, held the day before the wedding, during which the bride’s hands and feet are decorated with intricate patterns. And even if you can’t afford Beyoncé, a “sangeet” (an evening of music and dance) is now a norm among Indian couples. 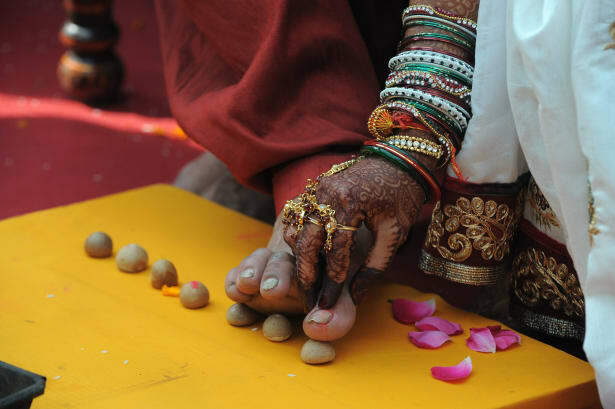 On the morning of the wedding, the bride and groom apply “haldi” (turmeric, which is mixed with milk into a paste) to their hands and face to ward off evil spirits. The wedding ceremony itself often takes place beneath a “mandap,” a pavilion embellished with opulent drapes and decorations. This is where the bride and groom pledge their vows (known as the “saat phere,” or seven circles) around the “agni,” a holy fire considered a witness to the ceremony. The ritual sees the couple walk around the fire seven times reciting the Hindu pledges of marriage that address strength, prosperity, wisdom, health, offspring and friendship, after which the marriage becomes binding. 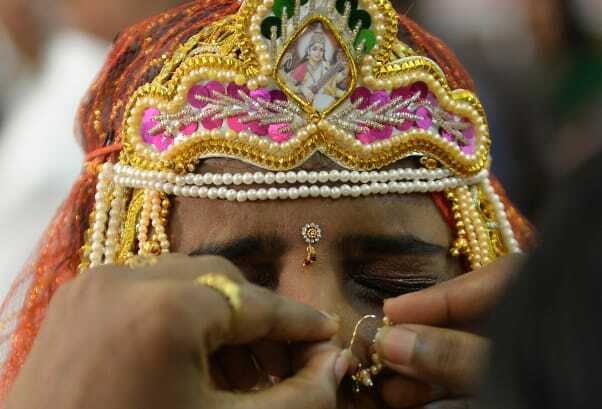 At the end of the ritual, the groom applies “sindoor” (red vermilion powder) along the parting of his bride’s hair and ties a “mangalsutra” (a bridal necklace) around her neck to signify that she’s a married woman. 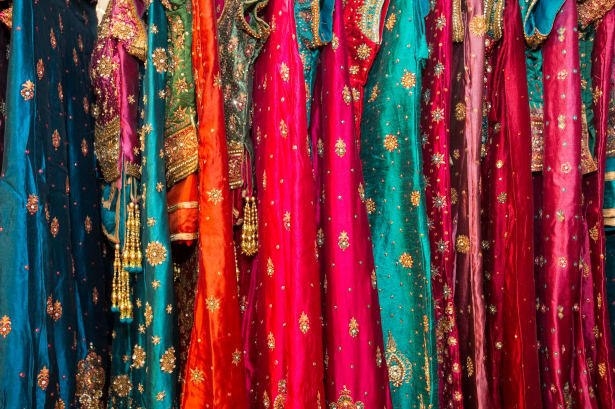 Hindu women usually opt for a sari embroidered with intricate patterns, or a “lehenga” (a type of long skirt) paired with a matching blouse and “dupatta” (a long shawl-like scarf that’s draped over the head and shoulders). More broadly, red is a favorite for brides — especially for Hindu ceremonies. The color symbolizes fertility and prosperity, as well as representing Mars, the planet of marriage in Hindu astrology (although a significant number of brides now wear cream, a color commonly used by Western brides, reflecting a growing modern trend for lighter, pastel shades). 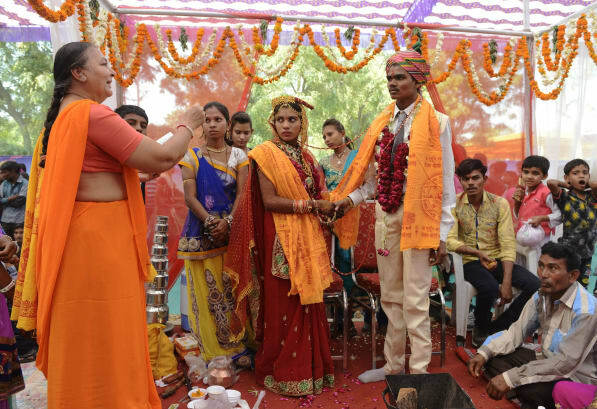 The timing of ceremonies also reflects nationwide trends: Winter wedding season, which usually runs from November to February, is considered an auspicious period in the Hindu calendar. Couples often turn to the stars, and their zodiac signs, to pick a date that will ensure a long and happy marriage. 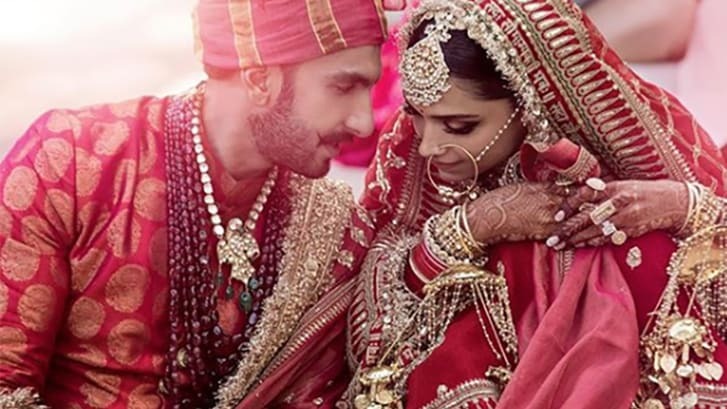 All of India’s recent mega-weddings — which also included Deepika Padukone’s high-profile marriage to fellow actor Ranveer Singh — sparked waves of social media reaction from both in and outside India. Amid public fascination, the ceremonies have also attracted criticism for being overly ostentatious. Such shows of excess stand in stark contrast to the poverty and poor living conditions found in places across India. A representative for the Ambanis told CNN that the family set up a bazaar to showcase the work of local artisans. They claim to have donated enough food to feed over 5,000 local people three meals a day for four days.